If you have any interior or exterior shots, class photos or other visual mementos, we’d love to access them.~ J.B. Quarry Elementary School lived a short life. Built around 1960, it was demolished in the 1970s to make way for American TV & Appliance. Below: Elaine Spelius’s 4th and 5th grade classes celebrating Christmas (1964, I believe). Below: Elaine Spelius’s 4th and 5th grade classes, Hawaiian luau party. Below: Rosalie Carpenter’s 6th grade classroom. 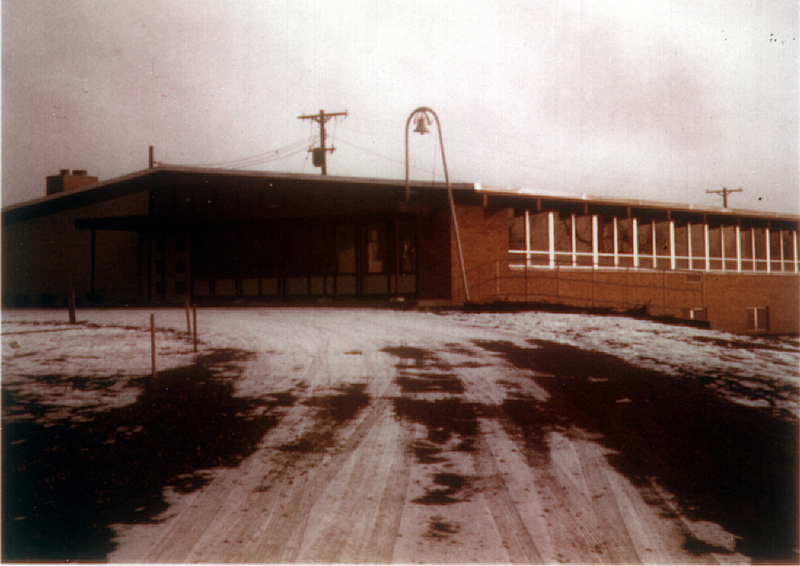 Below: Driveway and flagpole, view looking north from school, circa 1960. 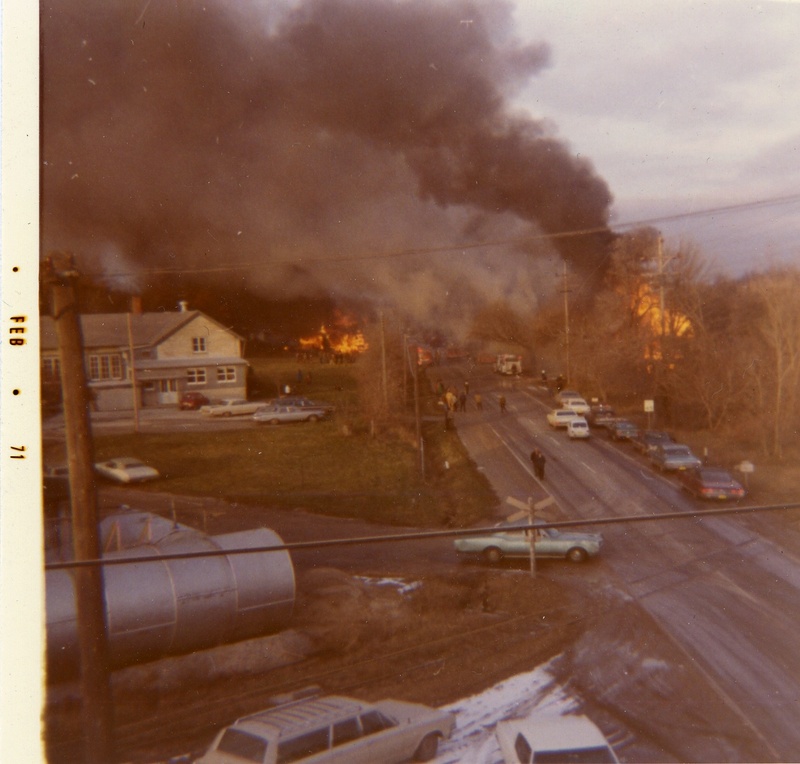 Highway 164 (as it was known then) was to be widened to double lanes, so the “Quarry houses” along its roadside were burned in a fire department exercise.